CdS-Ag2S binary nanoparticles were synthesized using a facile one-pot microwave irradiation method. 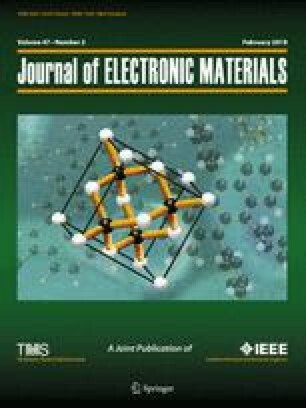 The effect of initial nucleation of CdS quantum dots (QDs) using 3 min, 5 min, and 7 min of microwave irradiation on the optical properties of the final compound was studied. The composition and crystal structure of the compounds were verified using energy dispersive x-ray spectroscopy and x-ray diffraction. They revealed that existence of Ag and Cd elements with an atomic ratio of 0.19 crystalizes in the form of monoclinic Ag2S and hexagonal CdS. Scanning electron microscope images showed a spherical morphology of the resultant compound, and transmission electron microscope images showed the formation of fine particles of CdS-Ag2S composites with an average size of 5–7 nm and 10–14 nm for CdS and Ag2S, respectively. Photoluminescence spectroscopy revealed that the initial growth time of CdS has a crucial effect on the emission of binary compounds such that for 3 min and 5 min of irradiation of CdS solution, the binary compound obtains strong red and considerable near-IR emission (850 nm), but for longer time, it rapidly quenches. The results indicate that the strong red emission can be tuned from 600 nm up to 700 nm with prolonging nucleation time of CdS. This study also emphasized that the origin of red emission strongly depends on the size and defects created in the CdS QDs. This research was supported by Iran National Science Foundation (INSF) Grant Number 94802582.